[By CT, new for 2018] Over Labor Day weekend, my 9-year-old son made the observation that I had put on some weight. A quick stop on the scale and a look back and records of my weight revealed that in the last two years, I had put on about 25 pounds. It was an eye-opening moment and caused me to quickly adjust my food intake over the past couple weeks. With a reinvigorated desire to shed pounds and eat better, what's a guy to do if he wants some ice cream? Well, along comes Dubba and says, "Hey, wanna try some Slim Twin Ice Cream?" We leave out the added salt, glycerin and stevia that you find in other brands to keep our ingredient list simple and flavor as clean as possible. Weighing in at only 240-320 calories for an entire pint, stacked with 24 grams of protein (that's 12% of your Daily Value per serving! 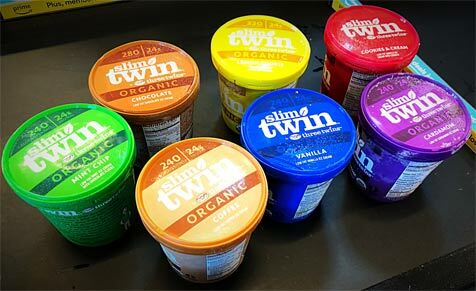 ), and certified organic, Slim Twin is heaven on earth. Few calories? Lots of protein? Okay, sign me up. So I went on a journey to track these down. According to their website, these are available all around me at the Publix grocery stores, but my visit to four different locations came up empty. Fortunately, Whole Foods had it. 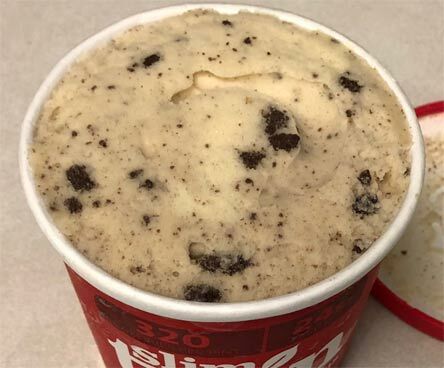 There are seven flavors of Slim Twin: Vanilla, Mint Chip, Lemon Cookie, Coffee, Chocolate, Cookies & Cream and Cardamom. They are only available as pints and at Whole Foods in Tallahassee, FL were priced $5.49 each. 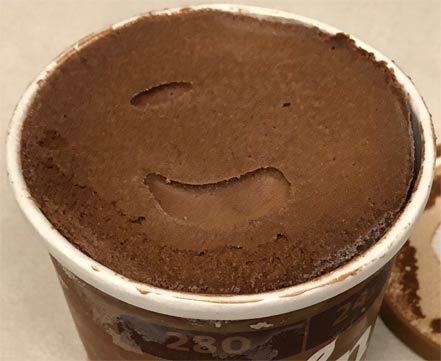 The description proclaims the ice cream to be "unexpectedly creamy" but scooping each felt more like moderately wet, fine sand than ice cream. The texture did not feel smooth, but rather crumbly or almost gritty. Not gritty in an icy way though. The packaging, as you can tell from the pictures, is rather plain with vibrant colors that don't necessarily represent the flavor inside. With seven to sample, I decided to try them in "rainbow order" with the browns at the end. Cookies & Cream - I've already mentioned that the ice cream itself had a slightly gritty texture, but with cookie & cream, that was even more the case. 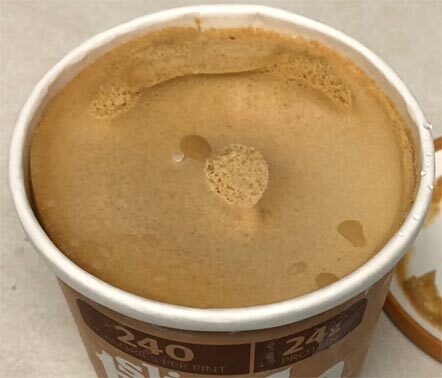 The cookie pieces were rather small and added to the grit of the ice cream. They are just chocolate cookies and not an Oreo-type cookie so there is no extra cream in this. 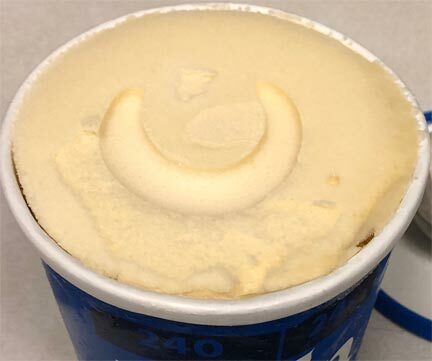 The vanilla ice cream base serves as the "cream." 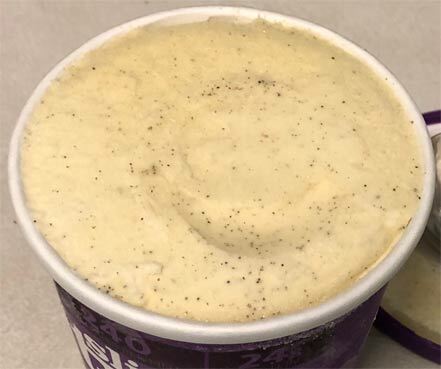 Initially with the bite of ice cream, the flavor was still enjoyable, but that transitioned into a slightly off-putting milky after taste. Lemon Cookie - Just to let you know my own personal bias, I am not a fan of lemon-flavored desserts. I don't know if I had an incident with Pledge in my youth that scarred me or what, but lemon typically reminds me of cleaning products. The same thing happened here. However, others in my family who do not share this bias, found this flavor to be enjoyable and definitely exuded a lemon cookie vibe. 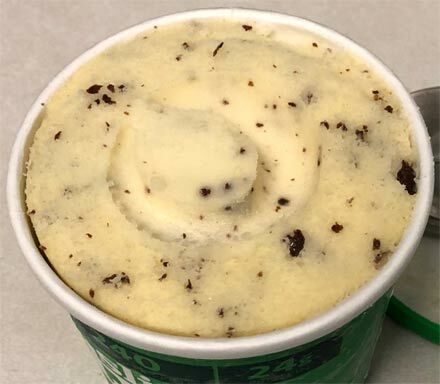 It has vanilla cookie crumbles throughout and has the same extra grittiness that cookie & cream had. Vanilla - Most of the family was not a fan of this flavor. I wasn't initially, but I gave it another shot the next day and found it to be better than I remembered. It might be great to pair this with some of the other flavors to help cut down on how strong some of them are. On it's own, it's not particularly exciting and suffered from the same milky after taste that cookies & cream had. Cardamom - Kudos to Slim Twin for offering a bold flavor like this. However, I was not a fan. The cardamom was very strong, overpowering any of the base ice cream flavor that might be present. I had expected more of a juxtaposition of flavors between say cardamom and vanilla, but it was all cardamom. I imagine someone who is a fan of this Indian spice might possibly enjoy this though. Especially paired with a cup of hot Chai tea. Coffee - The coffee flavor in this is much more subtle than some of the stronger flavors, but still present. The mix of coffee and cream makes this my favorite of the seven. Chocolate - Upon opening the container, the ice cream looked dark and rich setting me up to expect a dark chocolate flavor. Ultimately, this came across as more of a fudgesicle in flavor. Which it wasn't icy like a popsicle, the grittiness of the ice cream gave it a similar texture. I personally found this one disappointing. I know it seems like I'm really critical of this line, but to place it in the proper context, this is low calorie ice cream and if you look at the ingredients, they have taken care to be completely organic. Going all the way back to what I was saying at the beginning, if you are on a diet or meal plan but really want some ice cream, this is a viable option to eat some and not blow your calorie budget, especially if you stick to the serving size. As a comparison, the calorie count in these is about a quarter of what is in a standard Ben & Jerry's pint. Give them a shot if you find yourself in the same predicament I found myself in...needing to shed a few pounds. Dubba's Note: Thanks to CT for this review. CT's samples were acquired with seven free coupons sent to me by Three Twins ice cream. The gas in his car used to track these flavors down was his own. You can find CT over on the Nerd Lunch Podcast and Nerd Lunch presents Down the Rabbit Hole, also twitter and instagram. Thanks CT! Very nice and comprehensive review. I tried the coffee, I usually have the enlightened cold brew, and with similar calcium content I'd thought i'd give it a shot. I found it repulsive in comparison, with a sloshy texture. Maybe it's cause I'm used to the enlightened which is sweeter and less of a dark coffee, but I would never try it again after that. 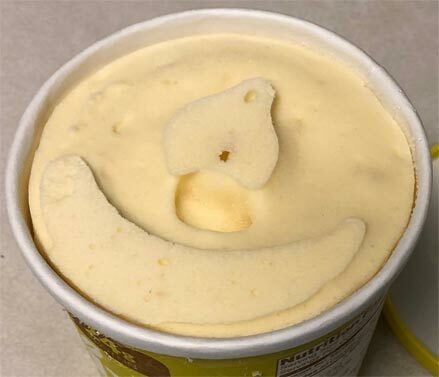 I find most light ice creams to have that icy texture, like halo top feels that way too. And I want to be clear, I don't think enlightened is always amazing, they just do a really good cold brew flavor and achieve a good texture.